In case you haven’t already heard for some reason, seven people died yesterday in a shooting at the Sikh Temple of Wisconsin in Oak Creek, a suburb of Milwaukee. 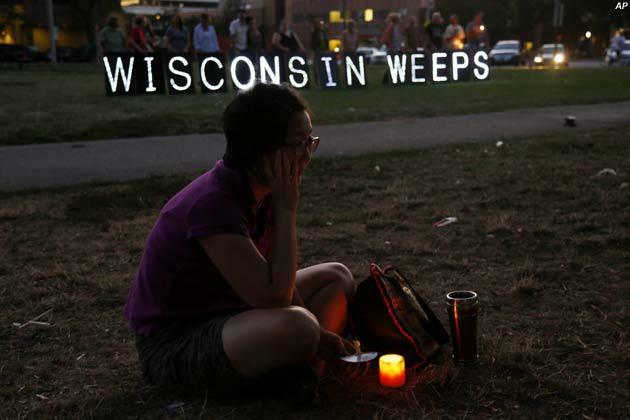 The horrific attack — which came just two weeks after a gun massacre in Aurora, Colorado — is Wisconsin’s fifth mass shooting since 2004. 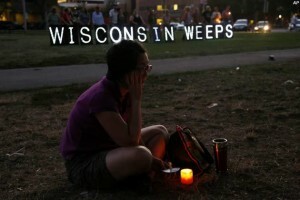 From what I’ve been hearing from family and friends in Wisconsin, the state is reeling right now. My heart breaks for the victims and their families, and my thoughts are with the Sikh community and peace-loving, nonviolent, inclusive, ecumenically-minded people all across Wisconsin who are shocked, grieving, and trying to make sense of something so senseless.